John is a blogging addict, WordPress fanatic, and a staff writer for me. Will Divi be updated to turn Global Library items into these?? While the new block editor has several shortcomings that ned to be addressed there are several more that are quite interesting including this reusable block option. The Divi theme primarily needs to get an update so that it works with some of the content widths that allow you to set the blocks to go wide and fullwidth. At the moment. Any content you create outside of the Divi/Visual Builder on pages gets confined to the container div which is around 1066px by default. This has been problematic for custom post types for a while and needing some hacking of css is a child theme to get the fullwidth value of the builder on these post types. Hopefully this is something that will get addressed now that the block editor is being used. The other big issue with Gutenberg that should have been addressed is the legacy of lock in when using different themes and builders. This has been the plague of WordPress for years. Using Divi on a site but now need to move to another theme for custom reasons and you lose your layout and content gets peppered with the shortcodes that Divi needed to render that layout. With the new block editor the same problem remains. There are some nice layout plugins (Kadence and CoBlocks) that do a nice job but the problem I have with them is that if you decide to disable the plugin you do retain the design but editing can be an issue. Ideally the block editor should have offered the basic structure mechanism for layout, sections, rows, columns, with minimal controls for padding. A hook/API should have been added for third party themes and builders like Divi to add there own interfaces, bells and whistles. Switch to another theme and it least the layout would remain, to some degree, intact. From what I can see, until the block editor adopts this approach or, at least some other approach, it makes it difficult for developers like Elegant Themes to integrate in an easy or meaningful way with it. But, if and when that happens developers will have to up their game. 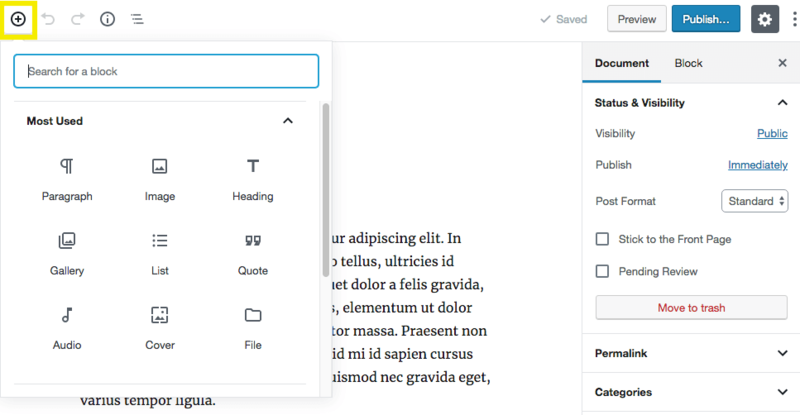 Well Arby I say we will at some point of time get a second Gutenberg update for DIVI. What it will be I do not know. blocks can make your life very easy if one knows how to use and reuse them. nicely written. Discovered something quite interesting, by accident with a copy and paste from the block editor to a Divi module on another page. You can reproduce designs, made in Gutenberg/block editor into a Divi layout and it works. My initial discovery was copy text out of a call to action block. My selection clipped the button and when I pasted in Divi the button appeared, fully rendered. It seems all the code/html gets carried over. I went back and opened Stackable Feature block to Edit as HTML, copied and pasted into a Divi code module, Boom!!! the block renders perfectly. Now you can’t do much with this unless you hack around in the html, so pasting back into a Gutenberg page would be the obvious thing to do. It does render but is placed into a classic block. The best way to do this then is to copy from Gutenberg when it is in the Code Editor mode, taking the as well. If you want to change it later copy it all back into the code editor and render the original block properly. I brought this up with support before. 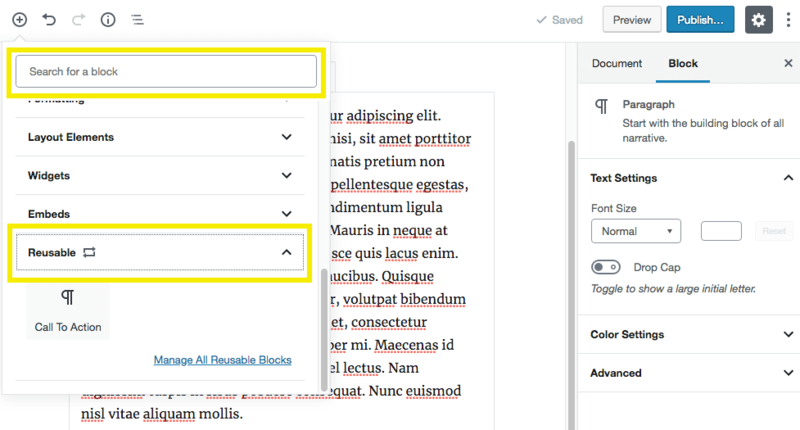 Divi needs a content module that takes the content form the back end editor, TinyMCE text area in the case of the old editor, any html generated in the block editor. PageLines DMS has had this years ago. Great Tutorial, however I can’t imagine myself ever choosing to use Fuglytenberg instead of Divi !! 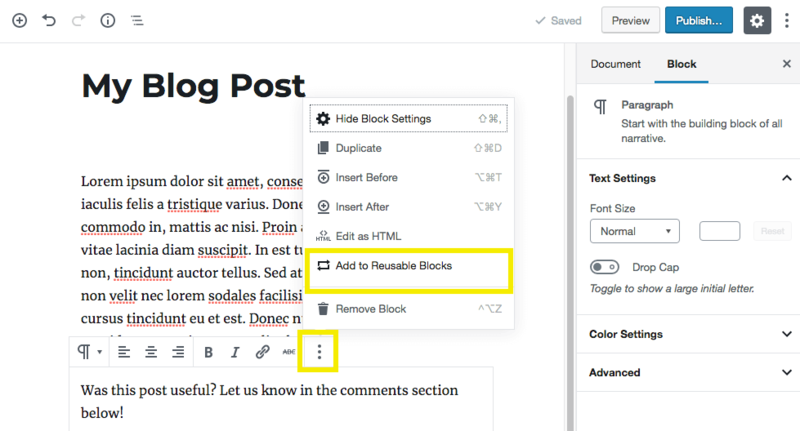 very nice idea of Reusable Block, I will use it on my blog. Great tutorial on “Reusable Blocks”. WIll try it on my WordPress blog now and see if it increases my productivity. It is good to know Reusable Blocks are GLOBAL on a WP installation. However, in a same question to ET (which I think is solved), what if you want to reuse those blocks on a different website/WP install? My guess is: sigh and re-create from scratch.